Many homeowners don’t realize the impact that their dirty crawlspace has on the homeowners health and the energy efficiency of their home. Crawlspaces are usually only thought of a couple of times per year when the musty, moldy smell returns. We like to pretend that the crawlspace doesn’t have an effect on our home as long as we don’t open the hatch. The crawlspace however, is actually one of the most important areas of our homes. The health of a home begins in the crawlspace. 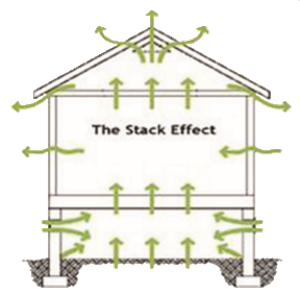 A home’s natural airflow is like a chimney effect. Outside air is drawn into the lowest levels of the home and rises, like the air within a chimney, throughout the upper levels of the house. Because of the chimney effect, the condition of a home’s crawlspace has a direct impact on a homeowner’s health. Studies have shown that up to 60% of the air we breathe on the first floor of a home comes from its crawlspace or basement. In a humid crawlspace, the air is full of mold, fungi, dust mites and other allergens. 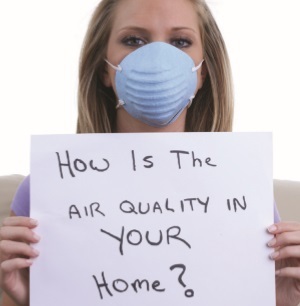 Breathing this air can cause increased allergies, asthma and other respiratory problems. Thus, it is extremely important to correct this potentially hazardous situation before problems occur. Crawlspace Liners are Essential to Control Humidity in Crawlspaces! 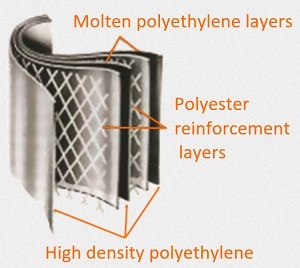 The Healthy Home Crawlspace Liner is a thick sandwich of high density polyethylene and molten polyethylene layers with an added layer of polyester cord reinforcement. 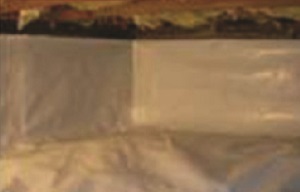 This makes the Healthy Home Crawlspace Liner virtually puncture and tear resistant. The Healthy Home Crawlspace Liner also has a bright, white finish to create a clean, bright environment in the crawlspace. 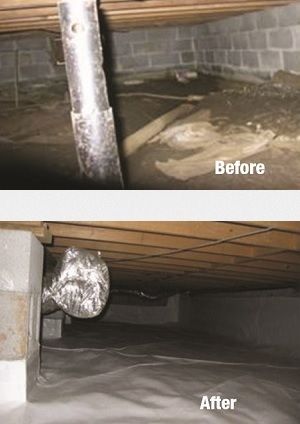 Using a Healthy Home Crawlspace Liner in your crawlspace will create an amazing transformation and add value to any home.